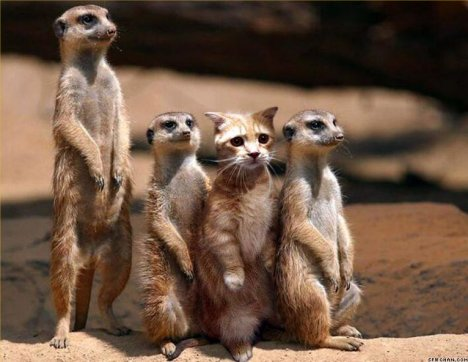 50% of Buyers are change imposters, so avoid them if you can! 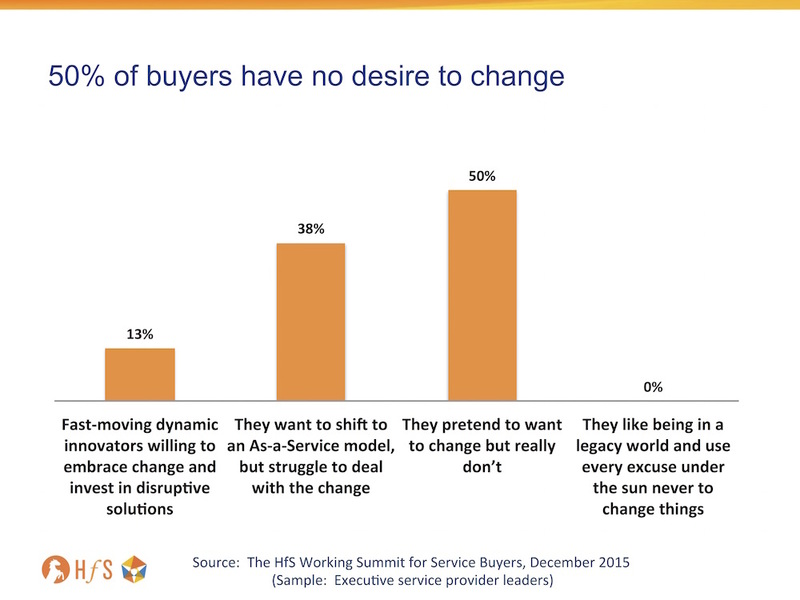 On the positive side, 50% do want to change, but most struggle, but the fact that so many are only paying lip service to their peers, colleagues and service partners is a real issue. How can you effectively target clients you can grow with as a provider, if you can't really trust the intentions of half your clients? And how can you drive initiatives as a buyer, when most your colleagues really do not have any interest? Smart consultants and practitioners are those who can quickly read their colleagues to find out if they genuinely are prepared to do things differently - and make real efforts to learn new methods and create new ideas. And this is really done through the legacy old school techniques of developing close relationships. You'll learn more about someone's attitude and approach over a few drinks or a nice dinner than sharing big words and corporate pleasantries in a boardroom. Surveys were anonymous but I wonder if majority of these statements are overlapping. Signalling a serious trust deficit. Phil, Durgesh, Would you say the challenge is simply because service provider reps are unable to identify the possible early adopter clients and secondly, unable to put together a workable plan for the change path for such clients in a manner that fits them (than fits the service providers)? I know you have written elsewhere about the need to create a target set of clients in specific verticals etc. and then cannibalizing/transforming in their landscape but it appears that is not happening, yet? Why talk about trust, when all you got to do is put a clear proposition on the table and ask to go implement? The clients that want to change will be happy to collaborate on that journey? I take your point about provider not able to put together a clear plan more often than not. But the other side of the issue is that in client organisation, although the top layer (CXOs) might be genuinely interested to collaborate, the middle managers don’t want to completely let go the control, hence the perception of imposters and lack of trust. The middle layer of-course knows that running in-house/hosted data centers and apps the old way, that managing the various trivial repetitive tasks with resources for the regular admin of assets is not going to be the way things will work forever. 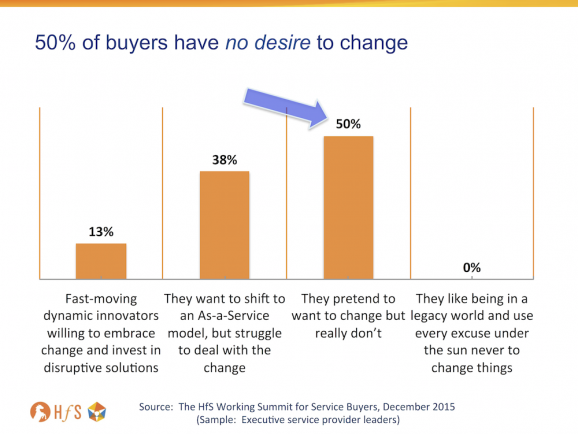 Coming to the service providers targeting these buyers, on second thought, perhaps the early adopters (13%?) by definition are self starters and likely to do and run things themselves. The may not jump at the service provider value yet, its the early majority that is where the battle will be played out - service providers that get the act there will sustain. There is a lot of talk of finding that majority in the upper middle market clients, not the very large enterprises?